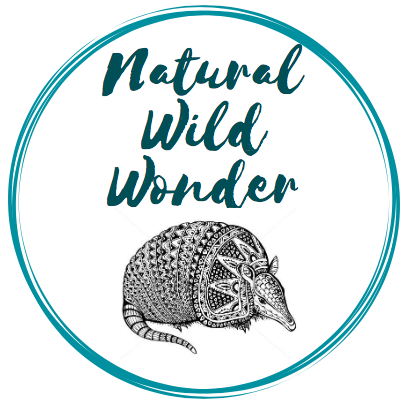 Natural Wild Wonder – Topics on all things wildly wonderful in nature. What Happens to Fish in the Winter? Posted on December 27, 2018 December 27, 2018 CategoriesAssorted TopicsTagsaquatic, aquatic life, Fish, fish in the winter, fishes, freeze, freezing, frozen fish, ice, koi, lake, pond, river, Wildlife, winterLeave a comment on What Happens to Fish in the Winter? As temperatures drop for the winter, layers of ice begin to form on bodies of freshwater. If you’re anything like me, you might be wondering what happens to all the fish at the bottom of the lakes, ponds, and rivers across the country during the cold months. After all, many living things don’t survive such harsh drops in temperature. For example, earth worms lay eggs before the harsh winter kills them. Then their eggs hatch in the spring and the cycle continues. So, what about fish? Do they turn into icicles and die out every year like the earth worm? The answer, is no. Many animals struggle to survive the cold months. By taking some time to follow these simple tips, you can ensure that your backyard is an abundant for wildlife this winter. With winter quickly approaching, many animals find natural food sources scarce. This DYI Birdseed Ornament is a craft that’s not only fun to make, but great for your backyard animals as well! Providing food for wildlife has its pros and cons. Leaving food for small backyard animals during the cold months when food may be scarce is a great way to help maintain wildlife populations. However, you also don’t want to overfeed wild animals, as they will become dependent on people and be less efficient at finding food themselves. You also run the risk of attracting pests into your home. This how-to guide gives some pointers on how to safely provide food to wildlife. What Exactly is a Veterinary Technician ? Posted on June 28, 2017 December 23, 2018 CategoriesAssorted TopicsTagsanimal, clinic, pet medicine, vet, vet medicine, vet tech, veterinary, veterinary medicine, veterinary technician, veterinary technologyLeave a comment on What Exactly is a Veterinary Technician ? When I was a teenager, I decided I wanted to become a vet tech. I always loved animals and I was interested in medical care. However, I didn’t want to go to eight years of school and I knew that vet techs only required an associates degree. Even though I had decided on this career, I didn’t quite know what a veterinary technician even did. Once I did my research, spoke to people in the field, shadowed a tech, and looked into degree programs, I became an expert on what a vet tech is. Although I eventually learned, many people today still don’t even know we exist, and if they do, they don’t understand what a vet tech is, what our job entails, or how much work we do to care for their animals. If I had a nickel for every time someone asked me if I was a veterinarian when I told them what I do… So I decided that I would take it upon myself to further educate those who aren’t quite sure what a vet tech is, and hopefully help people gain a whole new respect for those in this field. Posted on June 17, 2017 December 23, 2018 CategoriesLand MammalsTagsAnimals, pronghorn, strange animals, WildlifeLeave a comment on What is a Pronghorn? What is a pronghorn, you ask? Unlike its counterpart the white stork, associated with the mythology of bringing babies, the marabou stork’s unruly appearance and unsettling scavenging behaviors make this bird the center of death folklore. The marabou stork is a unique species of bird. Known for its large stature, its long, hollow legs, large beak, and a droopy, pink wattle, the purpose of which is strictly for show, many would consider the marabou stork an unappealing animal. In spite of not having any feathers on their spotted head or legs, their bodies are covered in dark grey feathers. Unlike the traditional stork mythology, the marabou stork is associated with death rather than the bringer of babies. Sometimes called the undertaker bird, African folklore says this awkward looking stork was created by God out of remaining bird pieces when he ran out of animal parts; this is why its appearance is so unpleasant. Although unique looking, these birds have many fascinating characteristics.